Start the day right …with a Full English breakfast, great vegetarian option or a buttery croissant. Fresh, local produce, served up with a smile and a great selection of coffees and teas … click here for our breakfast menu. Break for lunch …be spoilt for choice: a classic dish, light bite, salad, sandwich or panini? … click here for our breakfast menu. Make Sundays extra special …join us for a 2- or 3-course Sunday roast, lovingly prepared by our resident chefs with crispy roast potatoes and lashings of home-made gravy … click here for our Sunday Roasts menu. In a rush? …No problem, grab and go with our takeaway options. Cheers! 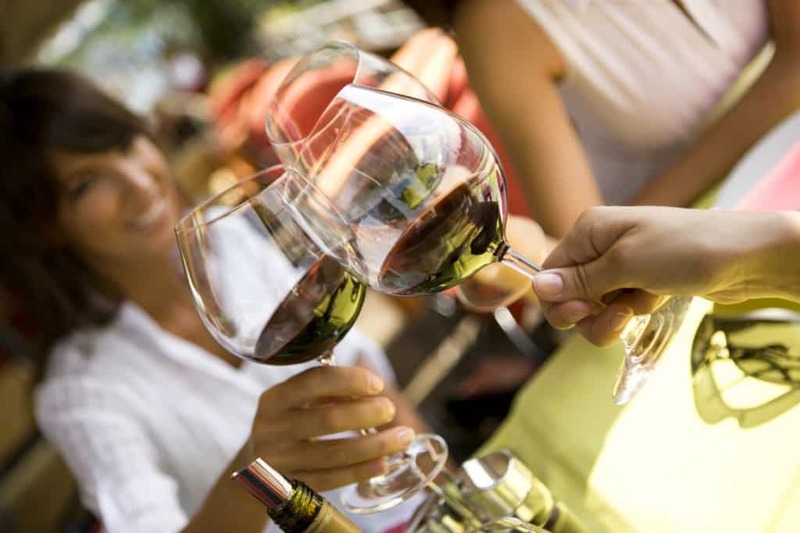 …Our well-stocked bar is the perfect place for a lunchtime or after-work drink with friends and colleagues. The bar stools have a view you won’t find anywhere else! Down to business …We welcome local groups, organisations and businesses and can provide fully equipped meeting rooms, food and beverages to suit … click here for room hire. Fancy a round? 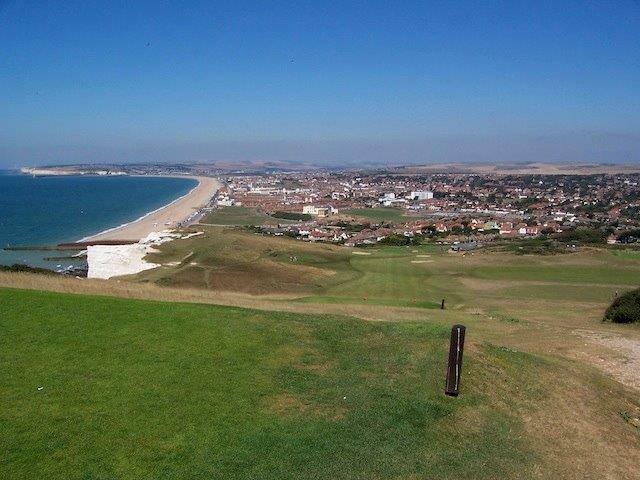 …Golfers will be hard pushed to find a more exhilarating course with views of the Seven Sisters and Beachy Head, and a huge 150ft drop to the 18th hole from 300ft above sea level. You’ll find the final fairway is perfectly situated for the 19th hole. And last but not least... Don’t forget your camera. The View sits high up on Seaford Head overlooking stunning views across Seaford Bay, Sussex South Downs, Seaford Beach and Town not forgetting beautiful seascapes and skies. High up on the cliffs take a ramble up the path to the ‘Seven Sisters’, or amble down the path to the beach and town for a spot of shopping. 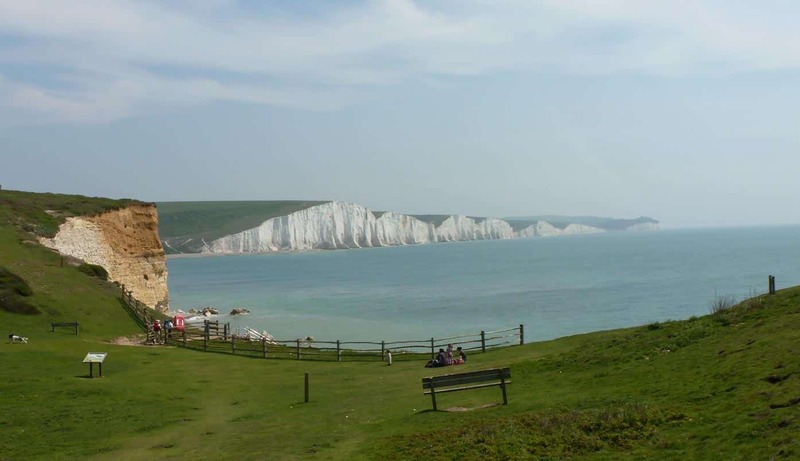 At the View and Seaford Head take with you a deep intake of clean pure sea air.